Iittala’s Tools 8 l casserole is the series’ largest pot and perfect for cooking for events and larger parties. 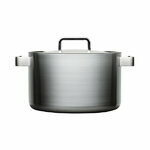 Tools is a broad range of high-quality cookware designed by Björn Dahlström in collaboration with professional chefs in 1998. 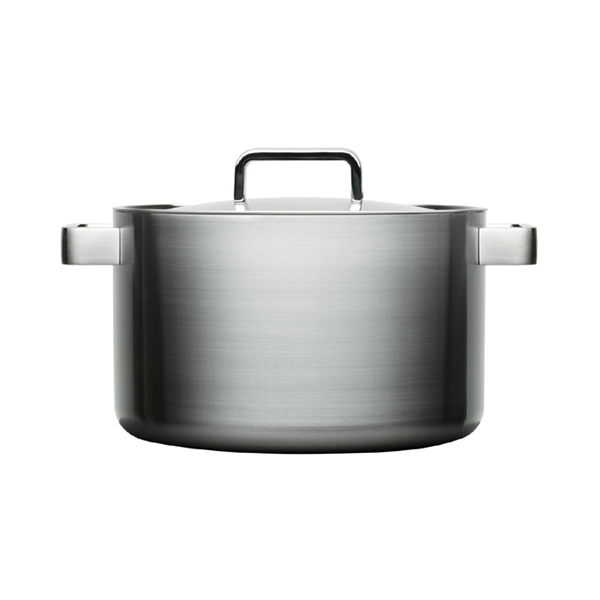 The series is made from brushed stainless steel and features comfortable oversized handles. Iittala’s Tools pots and pans are durable, suit all hobs and conduct heat efficiently. Björn Dahlström’s creations infuse any kitchen with undeniable style. Also suitable for induction hobs. Björn Dahlström (b. 1957) is a Swedish furniture and industrial designer. Björn Dahlström is well-known internationally and has designed a wide variety of products – bicycles, carpets, cookware, furniture, toys – for renowned companies such as Cbi, Magis, Atlas Copco, Iittala and Marimekko. Björn Dahlström realizes both two-dimensional and three-dimensional designs. The most important range he designed for Iittala is Tools, a collection of pans and casseroles developed together with important chefs. This way the designer has made sure that the Tools range has all the characteristics to be perfect also for highly professional use. Tools by Dahlström is a functional and stylish collection which will add an elegant touch to every house. Also HotCool, another range designed for Iittala, shows Björn Dahlström’s attention for details and for the end-user’s needs. HotCool is intended both for hot drinks and cold drinks and the clever idea about it is the plastic jacket that protects fingers against very hot or very cold drinks. While being functional and practical, the plastic jacket represents also a stylish detail. Moreover HotCool range is made of a special glass that endures sudden changes in temperature. As for the pieces of furniture he designed, worth mentioning is the Superstructure chair, a modern and innovative chair which is also represented in the permanent design collection of Stockholm’s Nationalmuseum. Björn Dahlström has received several awards for his designs and his works are represented in various museums worldwide, including the Nationalmuseum in Stockholm, Sweden’s premier museum of art and design, the National Museum of Art, Architecture and Design in Oslo and Victoria and Albert Museum in London.